My niece thinks Justin Bieber is awesome. I can’t wait for “Bieber Fever” to disappear. She thinks I’m a little off my rocker because I like Metallica. Different people have different tastes. As with music, food has a similar effect, and in the end, personal taste determines what each of us think is the best. Saturday, I entered the Turtle Days Barbecue Cook Off and much fun was had. My favorite part was at then end when I got to sample the other entries. They were all great in their own way and each very different. The one I thought was the best (which wasn’t mine) didn’t win – And neither did I. That’s no rip because the winning entry was delicious, it just happened to capture the judges fancy that day. 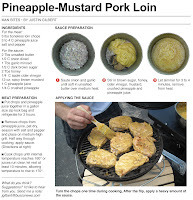 For this recipe, I share my entry in the competition. 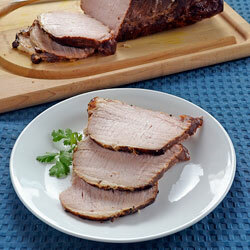 I use a basic brine to bring out taste and add moisture to pork loin. Then use the charcoal and wood chips to add flavor. A sauce or rub could be added for more taste but I wanted the smoke from the grill to be the star of the show. 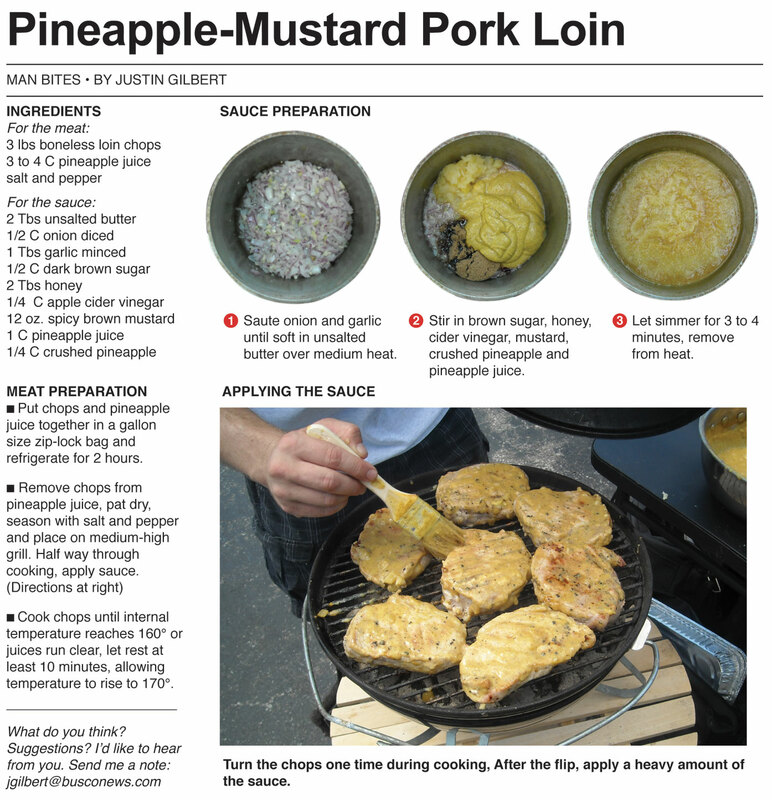 Two years ago, my first food column was based on the recipe I cooked at the Turtle Days Barbecue Cook Off. It’s hard to believe it has been that long. Things have changed so much since then – the column’s design, quality of the photography and my cooking knowledge to name just a few. I would not have been able create the recipe I did for the competition this year back then. One of the many things I have improved on is cooking large cuts of meat on charcoal. 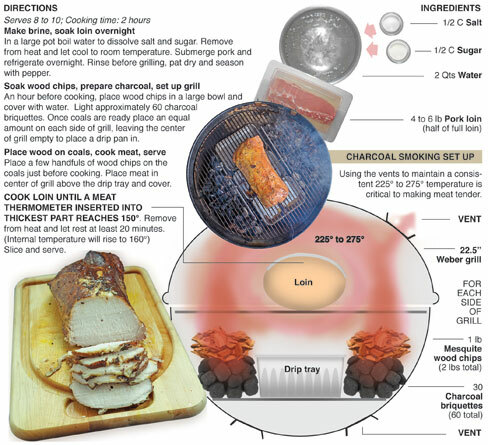 That is why I choose to do a diagram of the grilling set up. 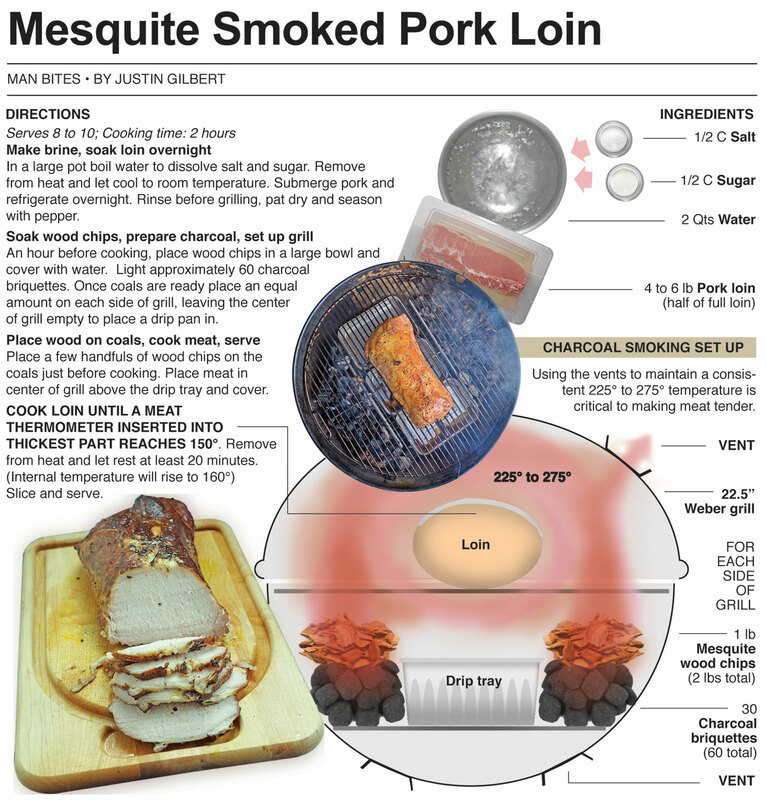 It is really the secret to smoking and cooking large cuts of meat over coals. 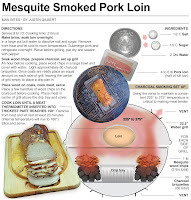 In honor of this milestone I am going to post my first food column as well. I wasn’t blogging at the time, so I am posting it in the format of my current blog. Here it is! In May, after 12 and-a-half years living in New York City, I relocated to Churubusco to pursue a career in the culinary world. When a family member tipped me off to the Turtle Days BBQ competition, I thought it would be a great opportunity to meet some of the area’s finest pit masters and the perfect chance to create a new recipe to showcase. I thought most competitors would be using tomato based sauces and meats that would take a while on the grill like ribs and bone-in chicken. 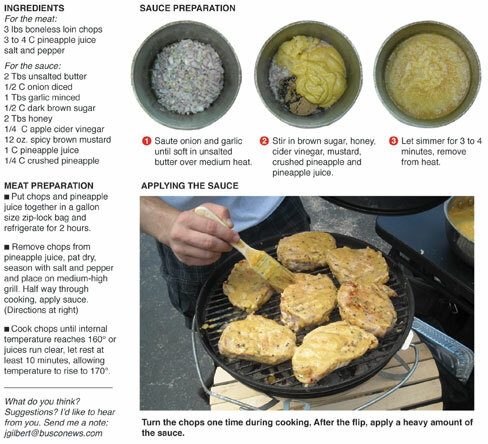 To stand out, I created a mustard-based BBQ sauce, which I sweetened with pineapple, and used to smother inch-thick pork loin chops that would only require a half hour of actual cooking and resting. The end result was a tangy sweet sauce over melt-in-your-mouth meat with no bones to get in the way while it’s devoured. All said and done, I didn’t win, but I met some cool area cooks and created a killer sauce and recipe to share on Behind the Bites!